The last several weeks have been really interesting. I have found myself questioning myself a lot and wondering if I am on track with my vision and my goals. Things have been so busy. Too busy. Whatever calm I was feeling with life seems to be gone. I have gone through a couple of times this year where I felt impatient with my progress and stage of being. When this happens, I know it must be related to ego and it is time for me to step back and really try to gain some insight on what I am feeling deep down. Willowing’s Lifebook has actually been a lifeline this year. This week the lesson was tied to the creative goals that you made for yourself early in the year. Although I didn’t connect with the style of the lesson, the meaning was there for me once again. I remembered the words that I chose with Kelly Hoernig’s first lesson were soar, flit, bloom, blossom, and shine. I made the little cards that went with her lesson and they have been a reminder of my goal with my art to use it to bring more positivity and light to this world. As I pondered those words, I questioned whether I am still on the same path. Am I living my truth? At this very point in time living one’s truth seems ultra important. All of the goals that I chose are goals that I have stuck with all year. This month I am reading and working on chapter 9, Recovering a Sense of Compassion in Julia Cameron’s The Artist’s Way. I am reading about fear and creative u-turns. The funny thing is, that I am wondering if I could be living more fully in my truth. I am not sure. I am searching for the insight to find out if I need to step more fully into the light. Where could I be doing better? Or is this my perfectionist veering its ugly head? As I write, it dawns on me that it is a natural wrapping up of 2013. We are nearing the end of the year and it is time to gather in the fruits of our labors. Maybe the fruits aren’t as bountiful as one may have envisioned, but nevertheless, they are there and waiting. The harvest is ripe and it is good. It is time to be grateful and to start to plan for a new chapter. 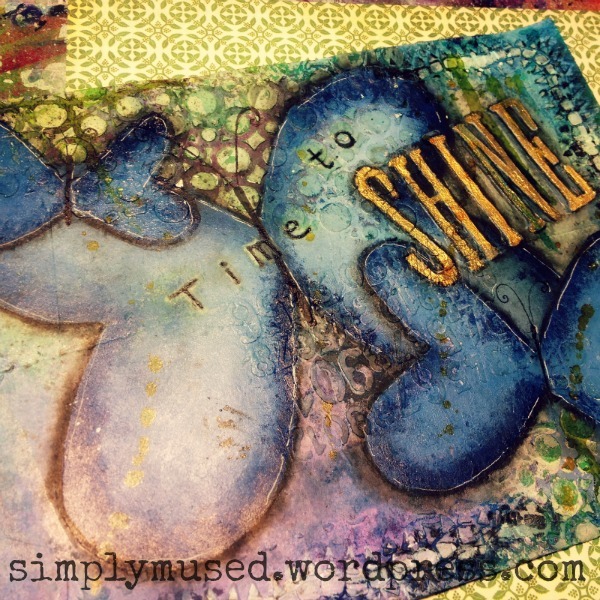 This entry was posted in I'm Doing The Artist's Way in 2013, Lifebook Projects and tagged creativity, goals, Insight, Lifebook, living one's truth, Mixed Media Art Journaling, The Artist's Way. Bookmark the permalink.